The new comedy 'Matwetwe' hits all the right chords to tell a story about the current place and time of South African youth. Ice Cube’s 1995 film, Friday, featuring two slacker friends in post-riot black Los Angeles (it launched the career of comedian Chris Tucker), launched a whole genre of stoner comedies. Three years later Dave Chapelle co-wrote the film, Half Baked, about three stoner friends trying to make a big weed score in New York City. Both films borrowed heavily from the films of the Latino comedy duo, Cheech and Chong, which made a series of stoner films from the late 1970s through the 1980s. Above all, both Friday (and its sequels) and Half Baked represented refreshing takes on Black American social life on film in the 1990s when films such as Juice (1992) and Menace II Society (1993), with their gritty and violent depictions of gang life in LA and New York, dominated. The South African film, Matwetwe, falls squarely into the stoner comedy genre. Like Friday, Matwetwe is a film of its time and its location. Just as the former’s release coincided with a renaissance in LA hip hop and militant black identity politics, Matwetwe overlaps with hip hop’s artistic and commercial success in South Africa as well as the rise of #FeesMustFall and #RhodesMustFall movements with their demands for black self-expression. While Hip hop celebrates “hustling” (entrepreneurship), the student movements of 2015 and 2016 emphasized doing things differently from previous generations. But, for all the comparisons and linkages to the American films, Matwetwe is a very local film. Once you get pass the cheap stoner jokes, there’s much more to the story as a commentary on post-apartheid black life. The title means “wizard” in Tswana. The story revolves around Lefa and Papi, two childhood friends in Atteridgeville, a working-class black township outside South Africa’s capital, Pretoria. Both Lefa and Papi have just completed their matric (senior year of high school) and chance on the idea to sell marijuana in the township. Lefa intends to enroll at a university by paying part of his fees with the proceeds from their business dealings, while Papi is just keen on “hustling” instead. The duo, whose respective families’ economic backgrounds are sharply contrasted, soon realize that they would not make the kind of substantial money that would change their lives by selling their merchandise in their township. It is here that Papi suggests that they target the white market in town where there is lots of money to be made. Through Papi’s cousin, who appears to come from an affluent family that stays in a historically white suburb in town, the duo clinches a substantial deal with a white man who gives payment money upfront, with an understanding that the merchandise would be delivered later. Sadly, the local thugs rob Lefa and Papi of all their marijuana before they could deliver the product to the buyer. This creates a major conflict for the duo and they quickly resign themselves to a doomed end. However, Lefa devices a clever plan that sees the duo, through an interesting twist, honor their deal with the buyer. The film is directed and scripted by Kagiso Lediga, a regular on South Africa’s stand-up comedy circuit and also an accomplished screen actor. The film was shot in three weeks. Lediga first wrote the script of Matwetwe some twenty years ago while studying at the University of Cape Town, also a time when he was fascinated by marijuana. It just happened that in 2018, South Africa legalized the use of marijuana for medicinal purposes, after many decades of propaganda about marijuana’s supposed harm to humanity. The film is generous with its humor, inspiring the kind of laughter that escapes one’s mouth as though it is a sneaky little fart that takes one by surprise, but whose release leaves behind a great sense of satisfaction. Boasting a rich and immersive cinematography, Matwetwe’s colors and textures are bold, strongly anchored. Through sweeping and excellent camera focal points, coupled with its distinctive Sepedi/Setswana dialect, Pretoria is represented delightfully with its cultural and structural dimensions and legacies. Most of the actors are either from the theater or are first timers on screen. Matwetwe excels in its treatment of contrasts, such that one is made to oscillate between different emotions, which the film evokes in its portrayal of issues like mental illness, femicide and general economic hardships. For example, when Borotho, a mentally ill man, is knocked down by a car. But this sombre scene quickly takes on an ironic turn when one recalls that Borotho had earlier been shown walking along the road holding a car wheel cap in his hands as though it was a steering wheel and he was driving a real car, when this was in fact not the case. Now lying on the ground from an impact of a real car on his body, with community members standing around him in horror and pity, Borotho goes on to say something that tears up the somberness of that moment. “And to think that he does not have a license!” Borotho says, which at this point suggests that the driver of the car that knocked him down does not have a driver’s license, when he is the one who probably does not. But there are also macabre scenes amid the inherent comedic characteristics of the film. One such harrowing moment is the exposure of the body of a woman murdered by her husband and kept in her bedroom until neighbors call the police, possibly due to the stench of a decomposing body. A deranged man, brilliantly portrayed by Kagiso KG Mokgadi, is soon arrested by the police in a scene that reminds us of the hideous and murderous nature of some men. Matwetwe also aims to satirize the human tendency to posture. Papi’s character carries himself as if he has loads of personal experience and knowledge about girls and related matters, but when in fact he has never been with a girl before. The portrayal of black and visibly affluent characters in Papi’s cousin’s circles appears to be satiric too especially since these characters are made to talk as if they were white. The film portrayal of Papi’s speech and behavior also seem to mock the influence of African-American culture on South African youth. It very sad that Matwetwe was initially shown at selected movie theaters, with a possibility of more screens being added on condition that the film performed well through ticket sales. This is tragic and unpatriotic to say the least, given that there is a flurry of very awful American films flooding the local film market. Granted, cinemas need to make money to stay operational, however, a fine balance needs to be struck in such a way that local film productions are nurtured and given the rightful platforms to showcase the talent that is ever so abundant in this country. 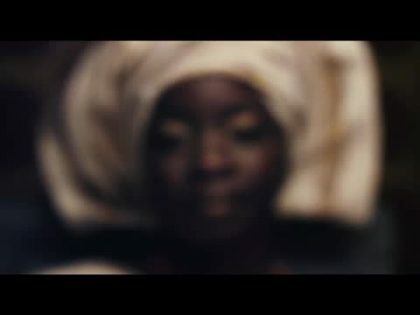 But in a poetic justice kind of way, the film, which was co-executively produced by the internationally acclaimed DJ and producer, Nkosinathi Maphumulo, popularly known as Black Coffee, would later account for over R4 million worth of ticket sales in a period of just over three weeks on the circuit, a performance that represents double its production budget. With various cinemas still showing the film, it is clear the figures will continue to rise. 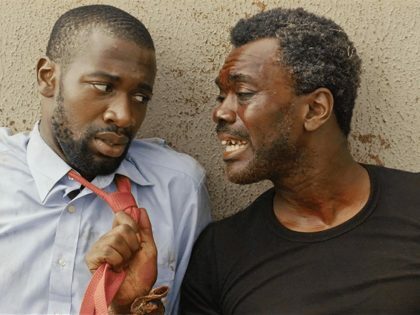 Dare Olaitan’s film Ojukokoro gets some room to breathe in New York, after being stifled at the box office in Lagos. 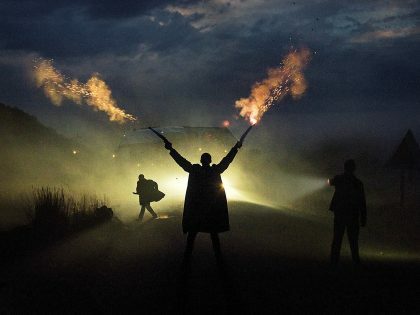 An interview with the South African director and writer of ‘Five Fingers for Marseilles,’ a Western set in that country, and starring an all black cast. “A Hotel Called Memory” concerns itself with elements of mood and scene and downplays aspects relating to plot or story.